To what extent has the process of European integration re-drawn the boundaries of national welfare states? What are the effects of such re-drawing? Boundaries count: they are essential in bringing together individuals, groups, and territorial units, and for activating or strengthening shared ties between them. If the profile of boundaries changes over time, we might expect significant consequences on bonding dynamics, i.e. on the way solidarity is structured in a given political community. The book addresses these two questions in a broad historical and comparative perspective. The first chapter sets out a novel theoretical framework which re-conceptualizes the welfare state as a 'bounded space' characterized by a distinct spatial politics. This reconceptualization takes as a starting point the 'state-building tradition' in political science and in particular the work of Stein Rokkan. The second chapter briefly outlines the early emergence and expansion of European welfare states till World War II. Chapters 3 and 4 analyse the relationship between domestic welfare state developments and the formation of a supranational European Community between the 1960s and the 2000s, illustrating how the process of European integration has increasingly eroded the social sovereignty of the nation-state. Chapter 5 focuses on new emerging forms of sub-national and trans-national social protection, while Chapter 6 discusses current trends and future perspectives for a re-structuring of social protection at the EU level. 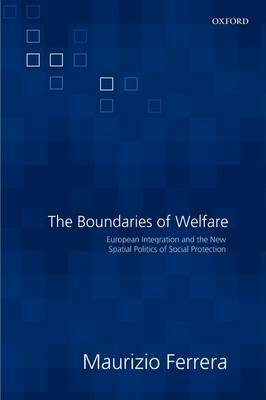 While there is no doubt that European integration has significantly altered the boundaries of national welfare, de-stabilizing delicate political and institutional equilibria, the book concludes by offering some suggestions on how a viable system of multi-level social protection could possibly emerge within the new EU wide boundary configuration.